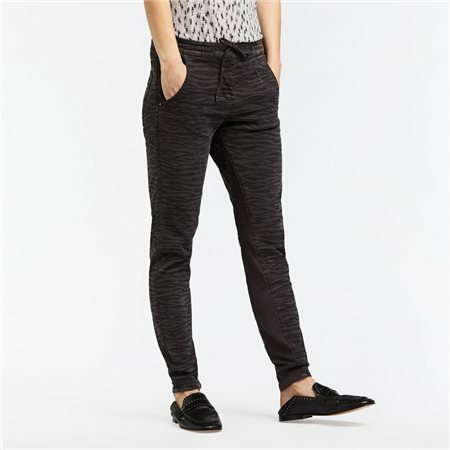 We absolutely love these casual trousers with zebra print throughout. These are slim leg trousers with a mid rise waist. These gorgeous trousers have been created with an elasticated waist for maximum comfort and contains two pockets on the front and back.